Israel Dallas Cunningham was born on June 29, 1844 to Edward and Martha Cunningham in Steinersville (Belmont County) Ohio. He is apparently named after the Methodist Episcopal Minister who presided over the marriage of his parents (Israel Dallas). The "Israel" of this bio was most often called "Dallas" by his family. Dallas enlisted Ohio Calvary, Co. B, 5th Regiment on February 22, 1865 at Powhatan Ohio and was honorably discharged October 30, 1865. 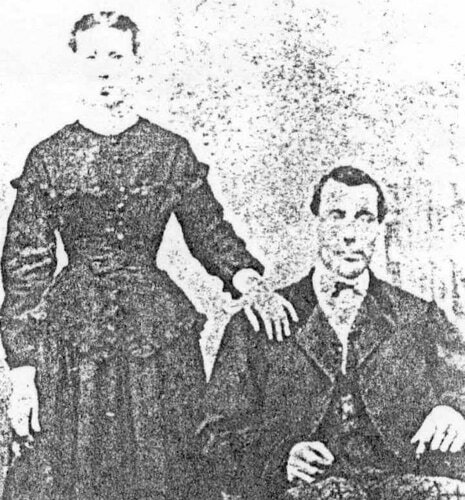 He married Matilda Jane Roush (daughter of Boston Roush and Hannah Workman) on March 5, 1870 in Clarington Ohio. ​ In the 1880 Federal Census shows his occupation as "Oil Gauger". After Matilda's death near Zelienople PA in 1890, Dallas married Susan Bledsoe on September 27, 1892 in Madison County, Virginia. After her death in 1902, he married Bettie King in Missouri on August 28, 1907. Dallas died on November 20, 1921 at his son’s residence in Tulsa Oklahoma and is buried at the Rose Hill Cemetery. plus details to be included in a future printed version of the Edward Cunningham book.